Most people hear the words "email marketing" and instantly think of spam, closing their minds to the idea. It's your job to make your email campaigns enjoyable enough that people want to open and read your messages. For great ideas on how to accomplish this, read on. Try to send only one email campaign message each week. Chances are, your customers receive a ton of email everyday, just like you. Customers may skip your emails if they receive too many of them. If you make it a point to send only emails which provide useful information, you are indicating to customers that you know, and appreciate their time is valuable. Don't abuse their confidence or insult their intelligence by sending them blatant sales petitions. Every email should have something relevant, like tips or discounts. Emphasize the benefits of your product or service whenever possible. Subscribers will want to know what's in it for them, so tell them--in the subject line, in your links, and in your content. Your subscribers will be much more interested in your message if they feel that it can help them in some way. Before sending any promotional emails to customers or potential customers, be sure to get their permission for contact. Email is a powerful tool, and consumers hate when it is misused. Any email contact that isn't initiated by the consumer feels to them like spam. Your customers must agree to receive additional emails from you, even if they have made purchases in the past. The last thing you need is to be accused of sending spam, so be sure to take precautions to guard against this, including an email-list opt-in confirmation. This means a confirmation email must be clicked to fully register for the newsletter. The email should contain a link that the person can click on to verify the subscription and another link to dispute it. Subscribers will appreciate your security efforts, and you'll be able to prove that your emails are not spam if need be. If your marketing is already branded from your website to your business cards, repeat the theme on your email marketing layout. Keep to the same color scheme and be sure to incorporate your company logo with every email you send. If your prior business and marketing efforts have built you a trustworthy reputation, feel free to make use of it by tying your new email to your recognizable brand. Make certain that the 'from' field of your e-mails displays your name or your business in a manner that is easily recognizable. Many people determine whether they are going to read an e-mail based on the 'from' field. A lot of people are also wary of opening e-mails that are sent from places that they do not readily recognize due to the fact that e-mails can contain viruses. Make your emails focus on your audience, not yourself. Your customers are the ones that make your campaign a hit or a failure Be a great resource to them and try to do what you can to include feedback from them. This can be with polls, comments, etc. Getting them engaged may help you build beneficial relationships for your business's future. Respect for your subscribers has to be the cornerstone of your email marketing efforts. One way to show this respect is to limit your frequency of communication with them. Familiarity breeds plenty of other negative traits besides contempt! Limit yourself to two or three emails per subscriber per month. If you communicate more often, you risk losing readers' interest and becoming background noise. A wonderful follow up technique is to offer something for free to your customers. Just add a note in the email describing the offer and how to take advantage of it. You can end the email by making the offer a limited time one or limited to a certain number of people. This will provide a sense of urgency and might prompt consumers to react. 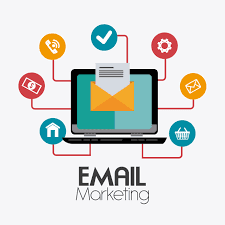 E-mail is one of the simplest and easily accessible forms of marketing. Since it is so readily available, it can be tempting to "accidentally" build a few people into your client list without really asking them. Make sure that you get permission before you hit "Send." Losing the good opinion of customers, or worse, is not worth it. Always know what your customers want and what audience you have; use this information and make it a successful campaign. What do you think they'd like to see? Think about what they would like to read. How can you get those thoughts converted into sales? Using the answers gleaned from this article to create your own effective campaign. You just said the truth, i don't like the way some people send Emaill because of that i have unsubscribe from them. Helpful info. Fortunate me I discovered your web site by chance, and I am stunned why this twist of fate didn't took place earlier! I bookmarked it. You're totally correct, I'd like to know more info on this issue! I'm as well curious about meso law information since I consider it is quite trendy in these days. Keep doing this! You are definitely right, I would really like to learn new information on this issue! I am also interested by free online movie sites because I believe it is quite trendy nowadays. Keep it up! Hi there! This is my first reply on this site so I simply wanted to give a quick hello and tell you I genuinely enjoy reading your posts. Can you recommend other websites that deal with dental care? I am likewise quite keen on this thing! Thanks a lot! Hey there! This is my very first reply here so I really wanted to give a fast shout out and say I really enjoy reading through your articles. Can you recommend any other blogs that go over free movie? I'm as well truly fascinated with this! Thanks for your time! Thanks for every one of your work on this site. My mother take interest in conducting research and it's really obvious why. I notice all concerning the lively ways you deliver functional secrets on your web blog and as well strongly encourage participation from visitors on that area plus our favorite simple princess has always been discovering a great deal. Enjoy the remaining portion of the year. Your doing a powerful job. Thanks a lot for the excellent article! I genuinely enjoyed learning about.I'll be sure to bookmark this website and will often come back very soon. I would like to suggest that you continue your nice posts, even talk about websites to watch movies also, have a nice morning!